We study the convex-hull problem in a probabilistic setting, motivated by the need to handle data uncertainty inherent in many applications, including sensor databases, location-based services and computer vision. In our framework, the uncertainty of each input point is described by a probability distribution over a finite number of possible locations including a null location to account for non-existence of the point. 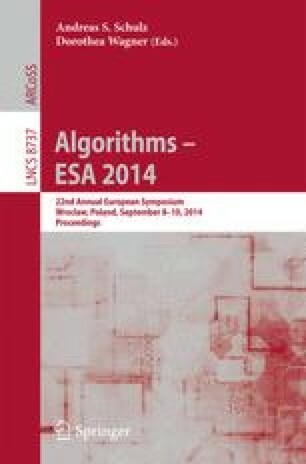 Our results include both exact and approximation algorithms for computing the probability of a query point lying inside the convex hull of the input, time-space tradeoffs for the membership queries, a connection between Tukey depth and membership queries, as well as a new notion of β-hull that may be a useful representation of uncertain hulls.